What if upon entering a building you were asked to choose what category you would fall under…Beautiful or Average?. Would you choose correctly or according to society? Do you feel beautiful? 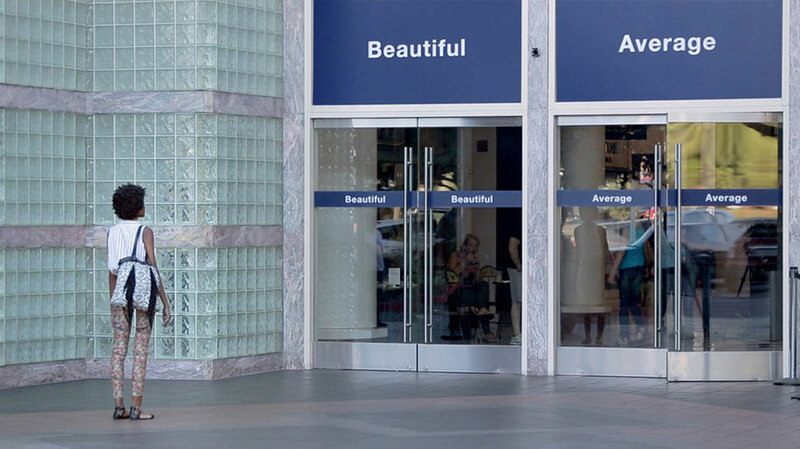 That’s what Dove explored with their globe trotting campaign – ‘Choose Beautiful’. It was a follow up to their survey that indicated that 96% of women (in the world) rate themselves as ‘average’. Dove basically put signs on doors into public buildings in five cities around the world; Shanghai,San Francisco, London, Sao Paulo and Delhi. One door was labeled ‘Beautiful’ whilst the over stated ‘Average’, and believe it or not the majority of women chose to view themselves as average. Dove went on to film the women’s reactions as the campaign progressed. The result? A lot of women were either frazzled, unsure and decided to either play it safe or merely view themselves that way naturally. Some women even went so far as to not enter the building at all! Dove then did small interviews with the women, who confessed that choosing to go through the ‘average’ door had negatively impacted their self-esteem. Going through the ‘beautiful’ door required some guts, yet made them feel better about themselves afterwards. The message of the Dove Campaign was: Only women themselves can choose to feel beautiful and the door is a powerful visual tool to deliver this message. http://www.frontseat.co.za/wp-content/uploads/2015/09/frontseat-logo.png 0 0 mulalo siminya http://www.frontseat.co.za/wp-content/uploads/2015/09/frontseat-logo.png mulalo siminya2015-04-17 12:17:002015-04-17 12:17:00What Would You Choose?